The final table of Event #47 –yes the 2011 WSOP is nearing completion—a $2,500 Omaha/Seven-Card-Stud hi/lo tournament, was one of the best of the 2011 WSOP with names like Mike “The Grinder” Mizrachi, 1998 Main Event Champion Scotty Nguyen, and high-stakes poker pro Abe Mosseri. But in the end it was an unknown player by the name of Owais Ahmed who would conquer all. Ahmed’s final opponent was last year’s talk of the WSOP, Mike Mizrachi, who won the $50k Players Championship and final tabled the Main Event in 2010. 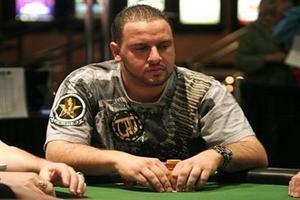 Mizrachi had been shut-out up to this point at the 2011 WSOP. This entry was posted on Thursday, June 30th, 2011 at 8:21 am and is filed under Poker News. You can follow any responses to this entry through the RSS 2.0 feed. You can leave a response, or trackback from your own site.